As with most news concerning The Beatles, the announcement of the release of remastered and repackaged CDs of the group's entire discography seemed at first something to celebrate. Second thoughts arose when details of the exercise were divulged. But over-cerebralization gets in the way of enjoying the music. The nature of the marketplace, and diversities of personal preference, are perhaps more productively viewed as different ways to enjoy the work of a band that has exerted more influence than any other in the history of pop music. The first batch of Beatles CDs issued in 1987 presented the titles in their original British track sequences. This was in contrast to the hodgepodge created at the time of the original American releases when Capitol cobbled together what amounted to extra LPs to satisfy the demands of Beatlemaniaby mixing album tracks and singles. (Those titles have themselves since been reissued, indicating that interest in the Beatles' work really knows no bounds). As digital technology and archiving expertise evolved over a quarter century, virtually nothing was done with the Beatles' catalog with the exception of The Anthology (Capitol-Apple, 1995-6), a mammoth work on its own terms, plus the isolated revision of Yellow Submarine, as soundtrack to the 1999 DVD reissue, and Let It Be... Naked (Capitol-Apple, 2003), more about which later. In contrast to the forward thinking that earmarked the Beatles career, the modernization of their recorded legacy was left to languish. Yet even now it's arguable The Beatles catalog is up-to-date. The advent of DVD and Blu-Ray discs would appear to be the ideal medium for the comprehensive take on the band's groundbreaking work. It would allow for lengthy audio as well as video inclusions, much of which might conceivably be the interactive sort that distinguishes contemporary entertainment on so many fronts. The Neil Young Archives might be an accurate point of comparison, but even there, points of contention arise involving what's included and what's not, ultimately questioning whether both the archives in store and the technology itself is being used to its fullest extent. In the case of The Beatles, in particular, the CD medium fits the demographic most accurately. 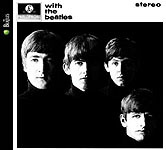 As presented on 9-9-09, The Beatles' remastered/repackaged CDs would seem to represent the best of as many possible worlds as practically possible, even if some elements ignore the potential attractions in both commercial and aesthetic terms. 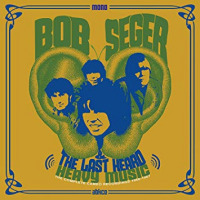 Two boxes of discs are available, one comprised of stereo mixes (upon which this article is based) and one of mono mixes. Each has its pros and cons. 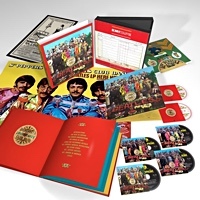 The latter is more directly aimed at the collector and discerning Beatles music fan; its slipcase containing CDs in LP replica sleeves as well as all the inserts such as the Sgt Pepper's cutouts and Beatles portraits and poster (not the Let It Be photo book though). Many enthusiasts favor the mono sound mixes as those were the ones supervised by The Beatles themselves, though who better qualified to mix The Beatles in stereo than George Martin, who, as long-time producer, provided such astute artistic and technological guidance to the band? Never available strictly in mono, Yellow Submarine, Let It Be and Abbey Road are not part of the mono box. The full complement of stereo CDs, 14 in all, come in a somewhat unwieldy box resembling a tower. Each title sports uniformly stylish glossy artwork, the triple fold digipak design of which would seem to be sufficiently durable. 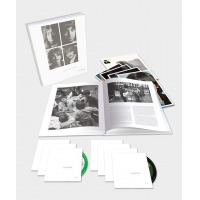 Inside are an array of period photos, many appearing in the booklet enclosed with each package alongside essays placing the respective albums in the history of the group, as well as some practical insight into the recording of the music itself. Past Masters, conceived at the time of the previous CD releases to collect an assortment of singles and non-LP recordings, is now a double-CD set similarly packaged to contain, like the rest of the individual titles a QuickTime audio/video insert for computers (those contained on a single DVD in the stereo box). 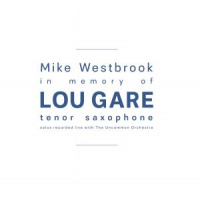 The latter feature basically reiterates what the music and the essays chronicle. The well-publicized friction that arose among The Beatles from 1968 on gives way to a more positive spin on the evolution of the group through its final collaboration. The CD configuration itself, not to mention the existence of two separate collections, comes into question considering DVDs or Blu-Ray might well be able to contain both audio mixes as well as a more sophisticated interactive feature, not to mention the singles and perhaps even more unreleased material (or hold out the possibility of same, as does the Internet option available with The Neil Young Archives). Such a comprehensive package, however, might still be subject to debate by fans audiophiles and collectors. Fevered controversy doesn't appear to inflict a variation in pricing on the titles, except perhaps as generated by the extent of the product's penetration into the marketplacethat is to say, how many will really sell? 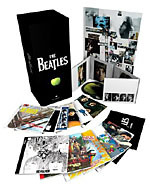 Then there's the limited edition aspect: the mono box allotment, such as it was, was sold out by the street date and major retailers such as Amazon were advising customers more would become available. 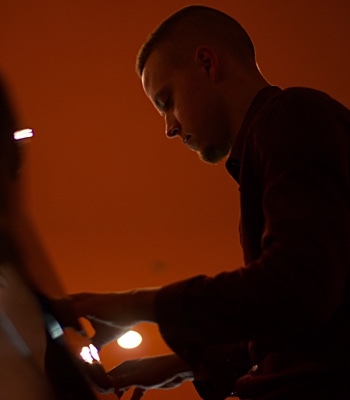 These issues become tangential, however, when it comes down to the sound of the music itself. 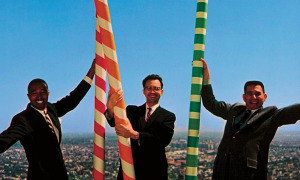 The EMI-Apple team responsible for upgrading the soundwhich manifests a warmth and clarity that regularly invites turning up the volumebrought a scientist's grasp of technical process to bear in working with the original master tapes and leavened it with the genuine fan's respect for the artists and their work. The resulting audio quality is not shrill in the least, but rather equally dense and spacious. 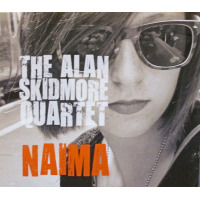 In the end, while listening to these new compact discs is not quite the sensation of the quartet playing in your living room, the overall sensation reaffirms the expertise of The Beatles as a band, the musicians' stylistic breath as songwriters and their fearless experimentalism as recording artists. And while The Beatles remasters project leaves unresolved the issue of digital availability of the music, when and if that day comes, it will constitute a breakthrough of perfect logic: download purchases of individual songs may very well be exactly the proportionate attention those tracks deserve, given the care and attention to detail the artists and the archivists bestowed upon them for this release. Please Please Me: Paul McCartney's now famous countdown to "I Saw Her Standing There,...""one, two, three fah!," unleashes an effervescent enthusiasm The Beatles maintained remarkably consistently throughout their career (even as they matured and become more serious in their middle period). At this early stage of the game, there's a certain knowing attitude that permeates this mix of cover material and early originals: as reverential as were the group toward its influencesChuck Berry, girl groups like The Shirelles and r&b in generalthe musicians seemed very aware the mix they made of their roots, best exemplified by "Please Please Me." 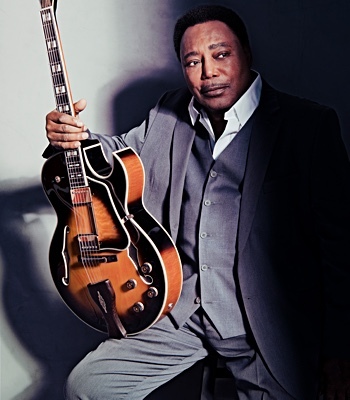 The remastering process pays dividends on the debut album as a markedly spontaneous exuberance; as palpable in the mid-tempo balladry John Lennon offers on "Baby It's You" as during the now legendary Isley Brothers' cover "Twist and Shout." Perhaps most remarkably, though, The Beatles render this artistic statement, emphatically and authoritatively, in just over thirty-five minutes. With The Beatles: Whether or not the listener is revisiting or discovering The Beatles on these new remasters, the immediacy of the group's presence, not to mention its infectious quality, is impossible to ignore. Accordingly, the music begs to be played loud and it's not just on this second album with John Lennon caterwauling "Money! That's What I Want!" or Paul McCartney endearingly intoning "Til There Was You." It's the way Ringo Starr gets the band galloping along on "All My Loving," and the edge that now appears on George Harrison's solos like the one he plays on Chuck Berry's "Roll Over Beethoven." The black and white cover portrait here is all the more striking within the uniform design of these digipaks. The homogeneity suggested by the collarless jacket suits the group wears in the photo on the back cover becomes profoundly deceptive: the cleanup of their image from the black leather of their early days in clubs simply signified the fine-tuning of The Beatles' personal style. The collective panache of the group comes through as clearly hearing it chug, holler and croon through its own "Hold Me Tight" right before engaging in the devotional fervor that is Smokey Robinson's "You Really Got A Hold on Me." In this modern context, the juxtaposition appears as much an audacious comparison point as an act of homage to the Miracles. A Hard Day's Night: The Beatles' first album of wholly original material represents the group's most fully-realized work, all the more remarkable as it is but the first of a series of ground-breaking works to follow in fairly short order. The more readily discernible bass and drum work heard in this remaster, while not nearly so pronounced as it would become in less than a year, stands as a manifestation of the ever-increasing subtlety developing in The Beatles' music. 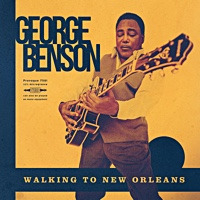 On the sonic front alone the group covers a tremendous amount of ground in just over a half-hour, from the chiming twelve-string Rickenbacker guitar Harrison employs on the title song (recurring intermittently as a stylistic thread of continuity through the album), to the acoustic textures (hearkening to his skiffle days) that dominate "I Should Have Known Better" which also features the return of Lennon's harmonica. There's a perfect simplicity to the writing, arranging, singing and playing that, while it might have arisen directly from not having a wealth of time to work in the midst of burgeoning Beatlemania, nevertheless avoids any sense of hurry, carelessness or lack of preparation. On the contrary, the emotional complexity of the songs was increasing, in the form of the deceptively hard-rocking "You Can't Do That" and folksy "I'll Be Back." Likewise the pure unadulterated beauty in the balladry of "And I Love Her" is as admirable as the ebullient rock and roll of "Can't Buy Me Love," its clever conceit the mark of increasingly mature sure craftsmanship. Beatles For Sale: The conflicts between art and commerce that may have delayed The Beatles remasters project ostensibly caused the one and only holding pattern in the group's early development. Following so closely on the heels of the recording of the soundtrack of the first movie (not to mention appearing in the the film itself), it's hardly surprising this late 1964 collections mixes in chestnuts from the early days"Kansas City," "Rock and Roll Music"with originals, some of which, like "Mr Moonlight," definitely sound forced and less than naturally high-spirited (see solemn expressions in the otherwise striking cover portrait of the foursome). Not that there aren't some first-class Lennon/McCartney compositions here, most notably in the form of "I'm A Loser," "No Reply" and "I'll Follow The Sun," where the mix of acoustic and electric instruments resonates through the new remastering. But the relative shortfalls of this album, in comparison to its predecessors as well as on its own terms, give it much in common with its successor, to the extent that Beatles For Sale and Help! almost sound like mirror images of each other, the intrinsic similarity made obvious because both conclude with bristling covers, the former with "Everybody's Trying To Be My Baby," the latter with "Dizzy Miss Lizzie." Help! : The rock and rhythm and blues elements of The Beatles music faded in favor of pop stylings as the quartet evolved, and by early to mid-1965 it was morphing into a folk-rock band (though it doesn't receive much recognition for forging the style as does Bob Dylan, who was beginning to deeply influence the band) or The Byrds, arguably its American counterpart in terms of experimentalism at this point). The demands of the marketplace and Beatlemania precluded a more natural evolution of The Beatles and even with, or more properly because of, the clarity of the remaster, the progression of their studio recordings remains obviously static. The uniformly keen level of composition drops off with Harrison's "You Like Me Too Much" and "I Need You," but Lennon and McCartney too seemed uninspired, relatively anywayhear "Another Girl" and "You're Gonna Lose That Girl." Hearing The Beatles here provokes thoughts of creating a composite album taken from the stellar moments of this second movie soundtrack album and its immediate predecessorjust one more novel means by which to experience these albums in and out of their chronological order. The unintentional benefits of this remasters project include a more objective presentation of The Beatles' evolution, which at this point was nothing so much as one step forward and two steps back. 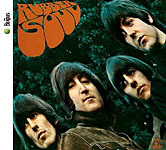 Rubber Soul: After an unintentional period marking time, the recording of Rubber Soul marks the point the Beatles took a quantum leap forward as songwriters and recording artists, much as they had done the year before with A Hard Day's Night. The personalities of the main songwriters became more distinct as Lennon began to compose increasingly self-referential pieces such as "In My Life," even as "The Word" foreshadowed his fondness for the anthems that would come to earmark his solo career. Meanwhile, Paul McCartney grew further into his role as expert tunesmith, with the likes of "Michelle," even as his command of the ballad never overcame his proclivity to rock with great flair, as on "You Won't See Me" and I'm Looking Through You." 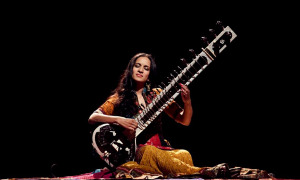 Harrison's prominence in the quartet grew as he wrote his most stylish tunes with "If I Needed Someone," and "Think For Yourself," but more importantly acted as a source of musicianly invention: it was his idea to add sitar to "Norwegian Wood (This Bird Has Flown)," thereby rendering its narrative all the more vivid. Harrison's pithy guitar playing remained one of the most unifying elements within the mechanics of The Beatles as an instrumental ensemble, the virtues of which are immediately apparent on this particular remaster during the the opening of "Drive My Car." The Beatles were morphing into something far greater than a rock and roll band in late 1965, but at its collective heart it remained a great four-piece unit: hear the continual playoff of McCartney's voice with Lennon's, the way the rhythm guitar propels the band while the bass navigates the turns, while Starr maintains rhythm patterns of his own peculiar devise. The group never forsakes its fondness for creative vocals either. The subtlety of harmonies, revealed so clearly on the CD, are often in startling counterpoint to each other and/or the lead vocal, as on the glorious "Nowhere Man." In the striking closeup portrait on the cover, the four Beatles look to be aging, but the physical manifestation of that process, as reflected in the maturity level of the music, seems to be nothing less than another sign of the foursome's ongoing pattern of self-discovery. Revolver: Adorned with period photos inside and out, as are all the repackages, this 1966 release features, tellingly, shots of the group posing with instruments. Even when in such a deliberately contrived setting, the Beatles appear no more quaint in attire or attitude than in their musiceven some four decades after its original recording. In what might well represent the apogee of The Beatles' creativity in the recording studio, while still retaining the unity of them as a four piece band, the breadth of arrangement across the 14 tracks is in direct proportion to the depth of the sound captured on tape and now made clearly manifest on the remaster. Almost as if aware he can now be clearly heard, McCartney cuts a swath through the mix with his bass on "I'm Only Sleeping." Eclectic invention abounds as Indian musicians play his "Love You To," "Eleanor Rigby" features a string quartet, and a horn section bestows exuberant gusto throughout "Got To Get You Into My life." 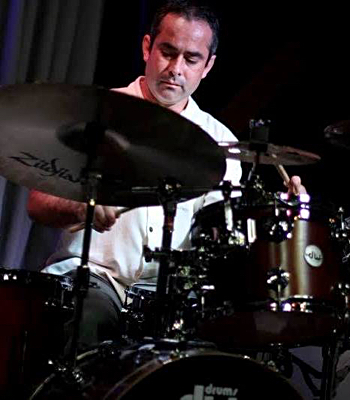 Those relatively conventional arrangements, however, pale in contrast to the one-chord drone of Lennon's "Tomorrow Never Knows," where a metronomic drum partStarr was still a swinging drummervarious multi-tracked vocals, combined with a myriad of effects arising out of newly-devised recording techniques, reaffirm the judicious tutelage and guidance of George Martin and his engineering assistants, here including for the first time the now renowned Geoff Emerick. Essayist Kevin Howlet sagely implies how brilliant were these men in channeling the increasingly creative impulse of The Beatles with their own astute pragmatism. It's worth noting too that the most traditional rock and roll tracks on Revolver are those composed by the titular leader of The Beatles: Lennon's "And Your Bird Can Sing" and "She Said She Said." And let's not overlook McCartney's gorgeous harmony ballad "Here There and Everywhere." 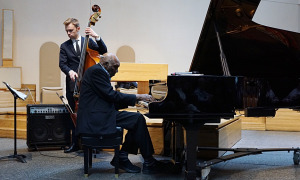 All would uneasily lend themselves to live performance because the density of small touches afforded by the studio would be lost on the incessantly screaming audiences of the time. Sgt Pepper's Lonely Hearts Club Band: What is perhaps The Beatles' most famous album is a whole far greater than the sum of its parts, because every aspect of the album reflected its unity. And it's not even so much in the songs themselvesonly the title song of which (and its reprise) reference the concept of The Beatles in disguisebut the way the tracks proceed without pause, the way the cover art extends from the band in costume through a colored inner sleeve plus the inclusion of cutouts based on the fictional characters. It's here the stereo packages suffer in comparison to the mono counterparts as the latter two touches (as well as the absence of paper sleeves for the discs themselves), cosmetic though they may be, carry a weight within the concept far outweighing their literal significance. But here, as with all the other Beatles remasters, the music tells the real tale and in this case it's contemplation how the group, Martin and the engineers concocted the three-dimensional sound of "Lucy In The Sky With Diamonds" and "Being For The Benefit Of Mr Kite." Not to mention how the remastering team so meticulously avoided the temptation to tamper with the mix. 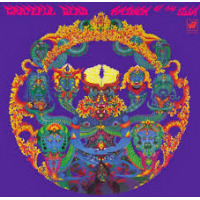 Harrison's excursion into Indian music, "Within You Without," may sound dated in its lyrics but it is dazzlingly colorful in its sound (especially on high-quality headphones) and while "A Day In The Life" may be the truly great song on Sgt Pepper (all due respect to "With A Little Help From My Friends," "Getting Better" and "When I'm Sixty-Four"), it is an even greater combination of performance, arrangement and recording. The two swells of the orchestra sound like an approaching wave on the ocean shore, while, in this remastered audio, the piano crescendo and climax resonate in such a way the sound might go on endlessly. 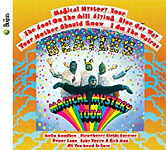 Magical Mystery Tour: The longstanding conflicting demands of the marketplace results in another incident of the unintentional, with Magical Mystery Tour now recognized as a legitimate Beatles full-length recording project when in fact it became so to provide product for the American consumer base in time for Christmas 1967. 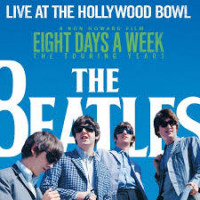 The original soundtrack to The Beatles' self-conceived and produced movie was just a double EP of songs from the film, accompanied by a booklet of photos from the film. The lack of substance in both the cinema and audio suggests the four Beatles were forcing themselves to work when the impulse wasn't there. Apart from "Fool On The Hill," songs like "Blue Jay Way" and "Your Mother Should Know" are more style than substance. The single exception however is the magnificent "I Am The Walrus," not surprisingly a product of Lennon's imagination, in which he combined his love of the sound of words for their own sake with his increasing fondness for novel sounds for their own sake. The two strains of thought and action combine here in a blurry kaleidoscopic mix of guitars, drums and treated vocals singing seeming nonsense (..."elementary penguin singing hare krishna..."), awash in orchestration, effects and overdubs aplenty. In its own way, it's comparable to "Strawberry Fields Forever," if not in its warped introspection than in its own idiosyncrasy, making it an ideal pairing with McCartney's similarly themed, but comparatively more straightforward, "Penny Lane." 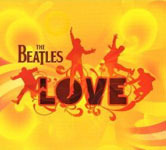 Released earlier in the year as a single, those tracks reside along "Hello Goodbye," "All You Need Is Love" and "Baby You're A Rich Man" as a collection of curious of the time more notable, in the context of the remasters project, for the point the shine began to come off The Beatles' image than the psychedelic era. Yellow Submarine: At the time of its original release Yellow Submarine was, unlike Magical Mystery Tour, never anything less than an album. Yet only one side of the LP was Beatles material and only one selection of those, the relentless piano and guitar rocker "Hey Bulldog," stands as a minor but memorable tune on its own terms. 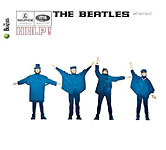 Still, the appearance of this release came at a time when the world was getting less of The Beatles all the time: the group had ceased touring two years prior in 1966. Thus hungry, even a title to which one half was devoted to George Martin orchestral pieces was fuel for excitement. 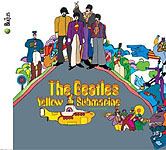 In the respectful approach to history represented by The Beatles remasters project, Yellow Submarine's inclusion is fitting, even though a modified version of the album on CD was issued in 1999 that included remastered versions of all The Beatles' songs that appeared in the animated film (debuting at that point on DVD). 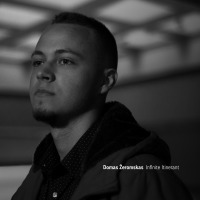 The existence of both works on CD is simply another indication of how difficult it is to present definitive versions of any artist's work, particularly with a band as prolific as the Beatles. The Beatles (aka "The White Album"): The four Beatles relished their collective identity as a band to such an extent they adopted a faux identity (Sgt Pepper's Lonely Hearts Club Band) to preserve it when they left the road and utilized the waning moments of their swansong on Abbey Road to flaunt how far they'd come as a unit in the eight years they'd played together. In this, their most expansive work, where their individual personalities were most clearly delineated, the quartet chose to reemphasize their unity by titling the work after themselves. 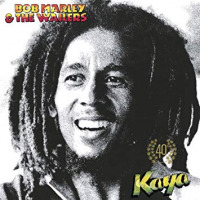 The striking artwork that gave birth to its nickname is reproduced in this reissue (though not with as much detail as the 30th anniversary edition), even as its extras are reduced for the stereo reissue. The poster is included but not the individual portraits that graced the inner foldout, the somber portraits of which are substituted with smiling alternates, which mirrors the positive spin on the events of the period as contained on the Quicktime documentary. 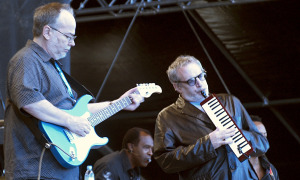 Martin is unequivocal in his belief that this might well have been far superior as a single album, but the temptation to fabricate such a piece with CD player programming yields the surprising realization there is, as the producer suggests, a dearth of major tunes here (and most of them appear within the first half of the double set). It'd be necessary to toss in the single tracks "Hey Jude" and "Revolution" for a running time close to CD maximum. Still, the joy the band takes in playing and singing together elevates even something as quirky but lightweight as "Happiness Is A Warm Gun" and if it's true, as it certainly seems to be, that this succession of 31 tracks is a rotation of the composer of each respective tune backed by his bandmates, there is the definite sense of The Beatles as musicians enjoying the sensation of playing together againafter engaging the studio as an instrument in itself over the preceding 18 months. 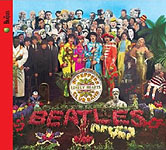 The way the music from these remastered CDs fills a room on electric cuts like "Dear Prudence," and the ever so delicate acoustic "Blackbird" is testament to the care the group and its producer lavished on the music in 1968, even when personal conflict was beginning to wreak havoc with the creative process. A similar attention to detail is afforded by the 11 individuals who comprised The Beatles remasters/repackages team. Abbey Road: In providing a means to rediscover The Beatles and the group's music, this remasters series can bring on wholly unexpected epiphanieslike that which arises from playing the quartet's final recording sessions at the now famous studio (high volume or not). 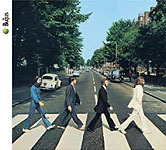 In what now appears like nothing less than a gesture of gratitude toward the site of their most groundbreaking work, The Beatles not only titled the album after Abbey Road the studio, but did so while making one final attempt at group unity, and succeeding more by exercising themselves as a band of singers and players than by the contrived suite of pieces within the latter half of the album. 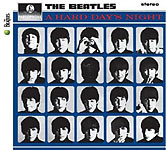 Consisting of undeveloped snippets of Lennon compositions given ballast by the full-formed likes of McCartney's autobiographical "You Never Give Me Your Money" and the whimsical but infectious "She Came In Through The Bathroom Window," this "suite" only serves to point out how the album has only a half dozen bona fide songs amongst its 17 tracks. The muscular yet enigmatic likes of "Come Together" is juxtaposed with the pedestrian nonsense of "Maxwell's Silver Hammer," and the pure silliness of "Octopus's Garden" works as a romp. If any Beatles album qualifies as ear candy, it's this one, as it is equally deep and plush in its remastered form and gains more substance and significance as time goes on. Impeccable sonics reveal all the detail in the acoustic finger-picking on Harrison's "Here Comes the Sun," but also exposes how utterly conventional is the orchestration that adorns "Something:" was the world catching up with The Beatles or was the group just slowing down? Given the comparatively limited technology at the disposal of the band, Martin and the engineers, it's still a wonder to behold how far have we come in the use of synthesizers since The Beatles' lead guitarist brought his Moog to Abbey Road. 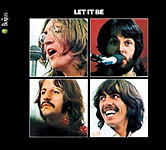 Let It Be: As word of the 1969 Beatles recording session circulated back in the day, the original concept of this albuma return to roots taken to such great lengths a cover photo was designed deliberately recalling the debut albumsuperseded its corollary aim which was to reignite the quartet's return to live performing (which ultimately it did in the legendary rooftop set from which some of the released tracks are taken.) 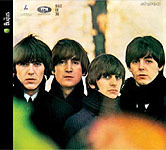 2003 saw the restoration of the concept, more or less, in the form of Let It Be... Naked, so the album as it was released exists purely for the most strict historical purposes, its original conception undermined by the work of "wall of sound" producer Phil Spector, who was given the tapes to work with when, as recounted ever so gingerly on the documentary and in Howlett's essay, legal wrangling and personal animosity delayed its completion so long that the group jettisoned control of the final version. 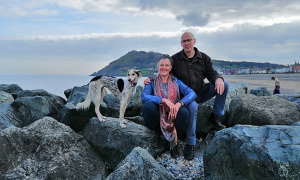 The purity and charm of the uncomplicated likes of "The Two of Us" (consciously or unconsciously self-referential and autobiographical?) shines through, as do the fluid mechanics of the band. The mini-docs like the one like the one included here are merely outlines of the events of the period, accompanied by snippets of narration by the band and Martin (what insight we might get from the engineers like Ken Scott), embedded alongside photo slide-shows and video clips that whet the appetite for a return to The Anthology (Capitol-Apple, 1996)or future more extensive releases, perhaps even the re-release of the movie of the same name. 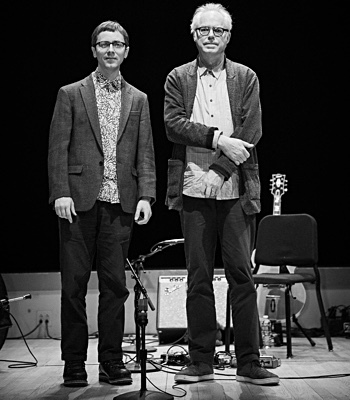 The bloated arrangements of Spector, such as the strings and choir which weigh down "The Long And Winding road," may be the logical extension of McCartney's sentimental streak, but it's to his credit and the band's that all parties consciously avoided such grandiose superfluous additions as a choir. While such egregious blemishes severely pockmark the album, the clarity of the original recording becomes magnified on the stereo remaster, which emphasizes The Beatles' shared joy of playing rock and rolllike Lennon & McCartney's "One After 909"purely for the fun of it. Past Masters: No doubt in part because the information is readily available elsewhere, such as in The Beatles Recording Sessions by Mark Lewisohn (Harmony Books, 1988), the extensive attention to detail involved in archiving this project does not include what has come to be de rigeur for archive titlesrecording dates and track specifics like musician credits (many of which may in fact be disputed). Kevin Howlett refrains from minutiae in his notes to this double set, but otherwise effectively summarizes the process by which meeting the demand of the marketplace, at the height of Beatlemania and actually beyond, compelled recording new tracks, if not always new songs, on a frequent basis. The extension of this were bastardized LPs aimed at American distribution, like Yesterday And Today and Beatles VI. (The Beatles, in fact, often chose to release a single of new material in addition to its accompanying album, as with "Paperback Writer" and "Rain," coincidental with Revolver, giving greater value to the fans). To collect the official singles and assorted non-LP cuts back in 1987 resulted in Past Masters Volumes 1 and 2, which were in 2009 combined into a sole double-disc package. As such, it's a powerhouse collection of original tracks including "From Me To You" and "I Want To Hold Your Hand" through "Day Tripper and "We Can Work It Out (like more than a few Beatles singles a double-sided hit), "Paperback Writer" and "Rain," through to "Get Back Don't Let Me Down." 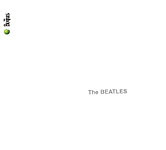 Excluding curios like German-language novelties but also "Penny Lane" and "Strawberry Fields Forever" (that appear on Magical Mystery Tour), this collection otherwise accurately chronicles the progression of the four Beatles as recording artists and songwriters. Creating for the commercial market and radio play of their time results in moments that may startle even the most devoted long-term Beatlemaniac. The grit within the feedback of the exultant "I Feel fine" and the genuine tenderness the group evinces through its singing on "Yes It Is" and "This Boy" constitutes further evidence of the stellar craftsmanship, high-level of professionalism and, above all, the natural and honest enthusiasm the Beatles brought to writing, singing, playing and recordingvirtues even more impressive now than when the foursome were navigating the arc of their career. 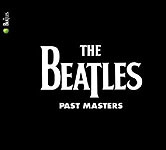 In its sequence of 32 tracks, Past Masters accurately captures the sometimes conflicting agendas that effected The Beatles, as it traces the flashpoint of inspiration in the early 1960s that ended with a whimper rather than a bang, via the splintered mindset that produced "The Ballad Of John And Yoko," "Old Brown Shoe" and "You Know My Name (Look Up the Number)." The absolute throwaway caliber of the latter in particular has practically no precedent in the official treasure trove that are the Beatles' singles. And that's precisely because the band, along with George Martin, took its work seriously (although with a healthy sense of detachment), no matter the end to which Harrison, Lennon, McCartney and Starr were devoting their seemingly boundless energies and ideas. To a greater or lesser degree, all these newly issued titles reaffirm that attitude, nearly a half-century after some of the earliest recordings. 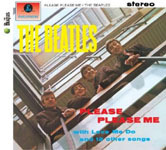 Tracks: PLEASE PLEASE ME: I Saw Her Standing There; Misery; Anna(Go to Him); Chains; Boys; Ask Me Why; Please Please Me; Love Me Do; P.S.I Love You; Baby It's You; Do You Want to Know a Secret; A Taste of Honey; There's a PlaceTwist and Shout. WITH THE BEATLES: It Won't Be Long; All I've Got to Do; All My Loving; Don't Bother Me; Little Child; Till There Was You; Please Mr.Postman; Roll Over Beethoven; Hold Me Tight; You Really Got A Hold on Me; I Wanna Be Your Man; Devil in Her Heart; Not a Second Time; Money (That's What I Want). A HARD DAY'S NIGHT: A Hard Day's Night; I Should Have Known Better; If I Fell; I'm Happy Just to Dance with You; And I Love Her; Tell Me Why; Can't Buy Me Love; Any Time at All; I'll Cry Instead; Things We Said Today; When I Get Home; You Can't Do That; I'll Be Back. BEATLES FOR SALE: No Reply; I'm a Loser; Baby's in Black; Rock and Roll Music; I'll Follow the Sun; Mr. Moonlight; Kansas City/Hey, Hey, Hey, Hey; Eight Days a Week; Words of Love; Honey Don't Every Little Thing; I Don't Want to Spoil the Party; What You're Doing; Everybody's Trying to Be My Baby. HELP! : Help! ; The Night Before; You've Got to Hide Your Love Away; I Need You; Another Girl; You're Going to Lose That Girl; Ticket to Ride; Act Naturally; It's Only Love; You Like Me Too Much; Tell Me What You See; I've Just Seen a Face; Yesterday; Dizzy Miss Lizzy. RUBBER SOUL: Drive My Car; Norwegian Wood (This Bird Has Flown); You Won't See Me; Nowhere Man; Think for Yourself; The Word; Michelle; What Goes On; Girl; I'm Looking Through You; In My Life; Wait; If I Needed Someone; Run for Your Life. 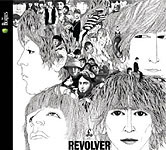 REVOLVER: Taxman; Eleanor Rigby; I'm Only Sleeping; Love You To; Here, There and Everywhere; Yellow Submarine; She Said She Said; Good Day Sunshine; And Your Bird Can Sing; For No One; Doctor Robert; I Want to Tell You; Got to Get You Into My Life; Tomorrow Never Knows. SGT PEPPER'S LONELY HEARTS CLUB BAND: Sgt. Pepper's Lonely Hearts Club Band; With a Little Help from My Friends; Lucy in the Sky with Diamonds; Getting Better; Fixing a Hole; She's Leaving Home; Being for the Benefit of Mr. Kite! ; Within You Without You; When I'm Sixty-Four; Lovely Rita;Good Morning Good Morning; Sgt. Pepper's Lonely Hearts Club Band (Reprise); A Day in the Life. THE BEATLES: Back in the U.S.S.R.; Dear Prudence; Glass Onion; Ob-La-Di, Ob-La-Da; Wild Honey Pie; The Continuing Story of Bungalow Bill; While My Guitar Gently Weeps; Happiness Is a Warm Gun; Martha My Dear; I'm So Tired; Blackbird; Piggies; Rocky Raccoon; Don't Pass Me By; Why Don't We Do It in the Road? 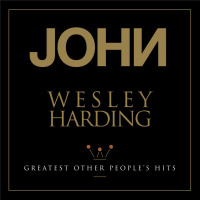 ; I Will; Julia; Revolution 1; Honey Pie; Savoy Truffle; Cry Baby Cry; Revolution 9; Good Night. YELLOW SUBMARINE: Yellow Submarine; Only a Northern Song; All Together Now; Hey Bulldog; It's All Too Much; All You Need Is Love; Pepperland; Sea of Time; Sea of Holes; Sea of Monsters; March of the Meanies; Pepperland Laid Waste; Yellow Submarine in Pepperland. ABBEY ROAD: Come Together; Something; Maxwell's Silver Hammer; Oh! Darling; Octopus's Garden; I Want You(She's So Heavy); Here Comes the Sun; Because; You Never Give Me Your Money; Sun King; Mean Mr. Mustard; Polythene Pam; She Came in Through the Bathroom Window; Golden Slumbers; Carry That Weight; The End; Her Majesty. LET IT BE: Two of Us; Dig a Pony; Across the Universe; I Me Mine; Dig It; Let It Be; Maggie Mae; I've Got a Feeling; One After 909; The Long and Winding Road; For You Blue; Get Back. PAST MASTERS (*not included in mono set): CD 1: Love Me Do; From Me to You; Thank You Girl; She Loves You; I'll Get You; I Want to Hold Your Hand; This Boy; Komm, Gib Mir Deine Hand; Sie Liebt Dich; Long Tall Sally;I Call Your Name; Slow Down; Matchbox; I Feel Fine; She's a Woman;Bad Boy; Yes It Is; I'm Down. 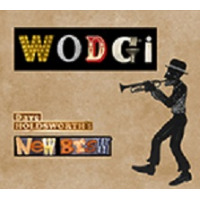 CD 2: Day Tripper; We Can Work It Out; Paperback Writer;Rain; Lady Madonna;The Inner Light; Hey Jude; Revolution; Get Back; Don't Let Me Down; The Ballad of John and Yoko; Old Brown Shoe; Across the Universe" ("Wildlife version"); You Know My Name (Look Up the Number). Personnel: John Lennon: guitars, harmonica, keyboards vocals; Paul McCartney: bass, guitars, keyboards, vocals; George Harrison: guitars, vocals; Ringo Starr: drums, vocals.